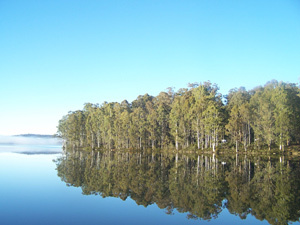 What a great way to have a Holiday in Tassie! 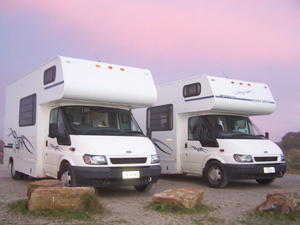 After deciding to take a holiday in Tasmania, we booked our Cruisin Motorhome vehicle with Discovery Campervans. When we arrived and checked in, we had all the papers signed and were taken to the vehicle and given the once over of the motorhome. This included information on what to do and what not to do. Then we were off! The first stop was to load up at the Supermarket, making sure we had all the supplies we would need for our adventure ahead. We found the motorhome most comfortable, easy to drive and to handle, and more importantly, extremely comfortable to live in. The best part was that in it, we were incredibly self-sufficient. Our motorhome booking was for a duration of 2-weeks and in this time, we travelled around Tasmania in an anti-clockwise direction. We camped at some of the most beautiful places and saw some stunning scenery. Many of the places we stayed at will remain in our hearts forever. The Motorhome itself ran very smoothly. We found that if we made sure that we topped it up with water every 2 days, we had no problems and could stay out of town anywhere with no risk of running out. The gas lasted the entire trip, supplying the stove and the water heater. We also had a toilet drop off which was no problem, and was actually a really good set-up. We ended up travelling around together with a group of friends, who also had the same kind of motorhome. This made out trip a lot of fun and provided us with great company and many laughs along the way. Unforgettable highlights of our trip in Tassie included: Port Arthur, Richmond. Bichino, St Helen's, Pyegana, the Pub in the paddock, Derby, Launceston, Burnie, Stanley, Wynyard, Strahan, Queenstown, Hamilton and of course, Hobart. Upon returning our motorhome, we stopped at a drop-off point to dispose of the waste from the toilet and then gave our home on wheels a clean at a car wash before returning it to the deport in Hobart. We would highly recommend this kind so holiday to anyone who likes to get out on the open road, do their own thing and explore the places they want to explore. There really is no better way to do it!